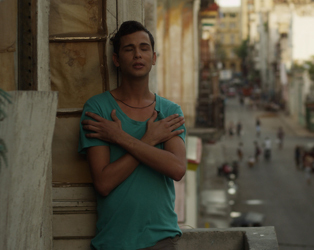 Against the fading grandeur of contemporary Havana, Jesus (Héctor Medina), an impoverished, sensitive young make-up assistant escapes the grim reality of everyday life through his backstage work in a drag club. When his dream of performing finally comes true, a stranger emerges from the crowd and punches him in the face. The stranger is his father, Angel (Jorge Perugorría), a boxer, absent for many years and now in need of a place to live. They struggle to cohabit peacefully and understand each other’s very different expectations. for director Paddy Breathnach (I Went Down, Man About Dog) and writer Mark O’Halloran (Adam and Paul, Garage). We are delighted to be joined by director Paddy Breathnach and writer Mark O’Halloran who will participate in a Q&A after the 18.30 screening on August 19th.